Honda is recalling certain model year 2012-2013 Honda Fit Sport models due to an electronic stability control issue, which may increase the risk of a crash. Affected by today’s recall are 46,000 model year 2012-2013 Honda Fit Sport hatchbacks built between May 2011 and March 2013. The vehicles in question may be equipped with a faulty electronic stability control system (ESC) that may allow for excessive yaw, or rotation. Excessive yaw rates may affect the vehicle’s direction of motion, causing it to tilt too far before the ESC applies the brake. As a result, the likelihood of a crash is dramatically increased, according to the National Highway Traffic Safety Administration. Honda will begin notifying customers of the recall on May 17, 2013. Authorized Honda dealers will update the ESC software free of charge. In the meantime, owners can contact Honda at 1-800-999-1009. Honda’s recall campaign number is S99. Concerned drivers may also contacts the National Highway Traffic Safety Administration’s Vehicle Safety Hotline at 1-888-327-4236 or go to www.safercar.gov. The NHTSA campaign number is 13V57000. The NHTSA discovered the defect during routine government testing in March. Honda launched its own investigation and determined that non-compliance existed, which prompted a recall. There have been no crashes or injuries reported, according to Honda. 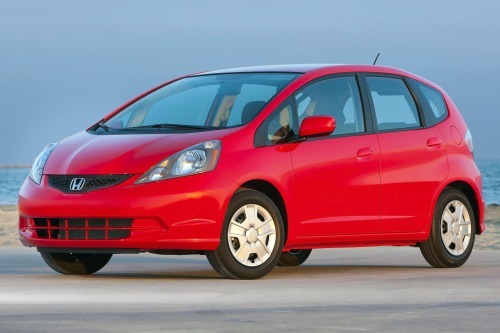 Honda’s recall of the Honda Fit marks the automaker’s third recall so far this month. Earlier this month, Honda issued the substantial recall of 1.1 million model year 2001-2003 Honda Civic, 2002-2003 Honda CR-V and 2002 Honda Odyssey vehicles worldwide. According to Honda, the affected models may contain faulty front passenger airbag inflators that may deploy with too much force. As a result the airbag inflator may rupture and send pieces of debris flying at the front passenger. Honda’s airbag recall affects nearly 680,000 vehicles in North America; 270,000 in Japan; and 64,000 in Europe. The recall also impacts models in Latin America, China, the Middle East and Africa. The US recall includes 426,000 Civics, 43,000 CR-Vs and 92,000 Odyssey. Click here to read Torque News' coverage of Honda's airbag recall. The automaker also recalled nearly 205,000 model year 2012-2013 Honda CR-V, Honda Odyssey and 2013 Acura RDX models in April over a brake issue. Affected models may be susceptible to a brake shift interlock problem, which may cause the vehicle’s transmission to unexpectedly shift out of Park. Consequently, the vehicle may roll away – increasing the risk of a crash. The issue is more likely to arise in subfreezing conditions, said Honda. The roll away recall impacts 128,000 Honda CR-V SUVs, 59,000 Honda Odyssey minivans and 17,500 Acura RDX vehicles. There have been no complaints, crashes or injuries reported, according to Honda. Click here to read Torque News' coverage of Honda's roll away recall.